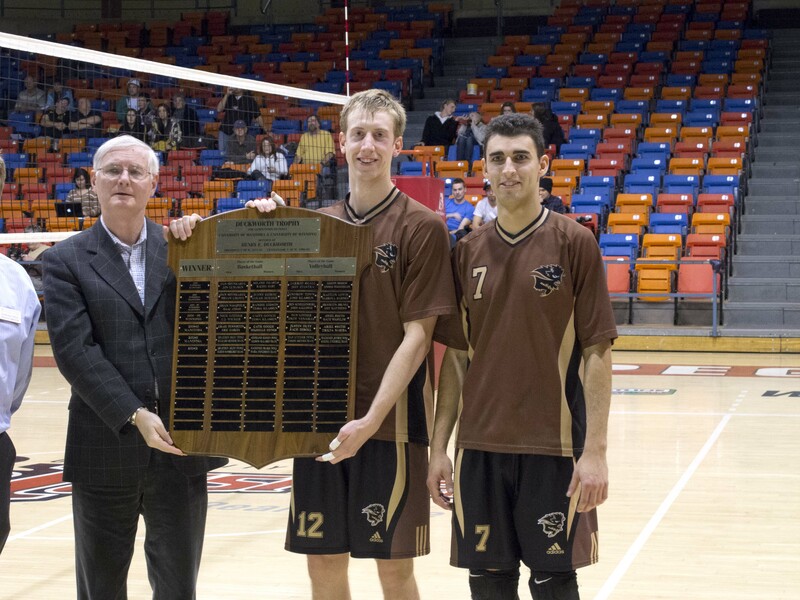 The University of Manitoba Bisons volleyball teams had opposite seasons, with the men enjoying more success than the women. 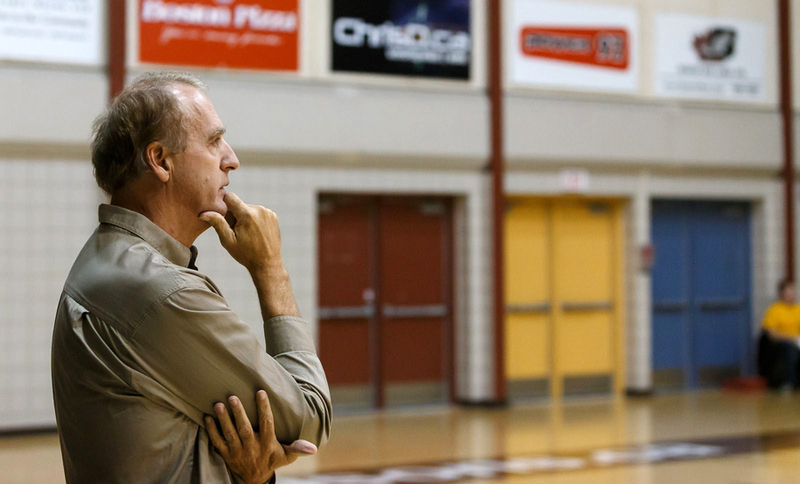 The men crashed out of the Canada West Final Four while the women failed to qualify for the playoffs, but both teams had positives and the Manitoban outlined some of the best moments this volleyball season – five from each team. The men got off to a fantastic start, winning their first eight games and dropping only a combined five sets during that streak. During the second week of the season in a series against UBC, Adam Dejonckheere smacked home 24 kills – his best output of the season. DeJonckheere was notorious for his cheeky tips over the net, fooling a number of opposing teams’ defenses. The win streak helped send a message to everyone not only in the Canada West conference but the entire CIS that the herd was going to be a powerhouse. This was a recurring theme all year long, as the men had an uncanny ability to make plays out of absolutely nothing. Many times you would see Caleb Hickok make a diving dig to keep a play alive, and in a playoff game against Mount Royal, Devren Dear went underneath the net and into the crowd to keep the rally going. The Bisons would eventually score a point on that same rally. Through an organized defense and some amazing athletic ability, Manitoba always managed to steal momentum after winning a long point. Games against the University of Winnipeg are always a treat to watch, as bragging rights are on the line and the intensity is always ratcheted up. When the Wesmen visited Investors Group Athletic Centre on Feb. 6 they were eager to avenge their loss in the Duckworth Challenge. They started off hot by taking the first two sets, but the Bisons dug deep (no pun intended) and fought back to win 3-2 . It was a nail-biting affair and great showcase of the talent of these volleyball players in Manitoba. How can you write a top five about the Bison volleyball team without mentioning Devren Dear? The six-foot-five outside hitter was a monster all year, punishing teams with his ability to smack the volleyball. Dear led the Bisons with 349 kills on the year, averaging 4.37 kills per set, which was good enough to rank third best in the Canada West. The Bisons had so much attacking threat on the court at once that even if it wasn’t Dear smacking home kills it was DeJonckheere or Mr. Reliable, Kenny Rooney. The trio were first, second, and third in kills for the Bisons as DeJonckheere had 278 and Rooney had 168. After a successful regular season, the Bisons managed to get themselves to the Final Four for the first time since 2011-12. Although it was not an ideal outcome, with the Bisons failing to win a single set, it only builds confidence for next year. In the playoffs we also saw the emergence of Scott Vercaigne, who played very well in his games. He managed a start against Mount Royal in the quarterfinals, where he excelled with 14 kills and four digs. He also registered six kills in the semifinals against Saskatchewan. It took five games, but the women managed to get their first win of the season against the Grant MacEwan Griffins with an impressive 3-1 display. It was a scrappy performance, but nonetheless it was a victory. The women didn’t play as well as they may have wanted to in 2015-16, but this was a big accomplishment for them to get that monkey off their back. Tori Studler played some of her best volleyball that weekend, as she hit a combined 26 kills between the two games. Manitoba had a pair of athletes who consistently played well for them night in and night out. Haille and Cassie Bujan were both shining lights for the Bisons this year. Cassie led the herd with 192 digs this season, and really started to step it up in the latter half of the season. Haille finished second on the Bisons in kills with 146. Sydney Booker didn’t grab all the headlines this season, with no flashy kills or diving digs, but her setting abilities were second to none. You cannot hear the ball ever touch her hands when she lays up a set for one of her hitters. Booker earned herself a spot on the Canada West All-Rookie team with her fantastic play. She averaged 6.44 assists per set and led Manitoba with 393 assists. A veteran of the Bison squad, Caleigh Dobie was a rock for Manitoba this year, as she was constantly foiling opposing teams’ attacks with her digs. Many times, Dobie would provide some clutch digs to keep the rally alive and help gain momentum. 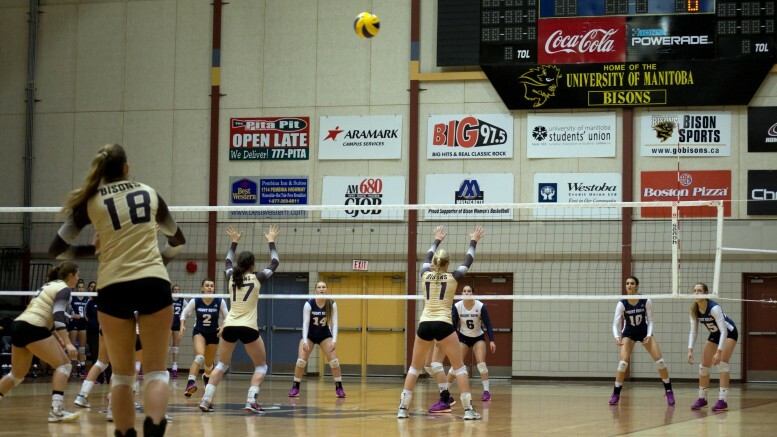 In a game against Saskatchewan early in the season, Dobie put up an astonishing 23 digs, her best of the season. A leader on this relatively young squad, she’ll look to lead the Bisons to greater success next season. After a relatively disappointing season, the women were able to throw all that out the window and play with pride in their final game of the year against the Calgary Dinos. The Bisons played a back-and-forth, tight game but ended the season with a 3-2 win. Studler had 22 kills that night, her best output of the year for a single game. Cassie Bujan also saved her best for last, with a 23-dig performance. There is plenty to look forward to for this Manitoba team, and they can take the confidence from that win into next season.